When will gays learn that they are only hurting their cause for mainstream acceptance by participating in lewd Gay Pride parades, in which they themselves conform to all of the most negative stereotypes about them? 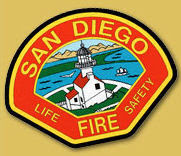 What's worse, when you force other people to attend, like four San Diego firefighters who are now suing the San Diego Fire Department for sexual harassment. I think the fire fighters are being a little mellow dramatic (maybe something they picked up from the drag queens) when they say, "I've dealt with finding bodies in burning buildings, traffic accidents with kids, but I've never been so stressed out before until this incident," nonetheless no one should be forced to attend any function against their will. In forcing these men to attend the Pride Parade, the San Diego Fire Department has only surrendered another PR coup to the Christian Right who are now running pieces like this. I've written a response to someone who had responded to my earlier post on gays and firefighters. have a few questions for you based on your comments. You said that “When will gays learn that they are only hurting their cause for mainstream acceptance by participating in lewd Gay Pride parades, in which they themselves conform to all of the most negative stereotypes about them? How are these gays in/at the parade “playing into stereotypes” as opposed to showing the public how they really truly are? Were these gays “acting” or is this who they truly are? How is the “Christian Right” as you called them using this as a “PR coup”? Isn’t the objective factual truth of how homosexuals acted at this event being reported? What do you have against people reporting the objective factual truth? I agree with you that stereotype usually has some accuracy to it when applied to any given minority. However, one must recognize that stereotype tends to exaggerate and distort the most superficial differences (and then turns these differences into moral flaws). I would start by asking you if you actually know any gay people closely. Friends? Family? Anyone that you are close to? I would be willing to bet that you would have an entirely different perspective on ‘those people’ if you did. I am being presumptuous, but I am willing to bet that you do not actually know anyone closely who happens to be gay. I do know a lot of gay people. I love some of them, I can’t stand others—pretty much the way I feel about any given sample of the population. That being said, I think that a lot of gays are putting up an act at events like gay pride. For every naked dancing boy I see for a few seconds walking by at a Pride event, I personally know five more gays who shun such displays. With regard to your remarks on reporting “objective factual truth,” I would say that the facts of this incident are not disputed, and I have no problem with them being reported as such. As you see from my original post, I actually agree with you in thinking that forcing these men (however exaggerated their claims of psychological damage may be) to march in the parade was wrong. However, I do dispute the way that people from generally conservative religious backgrounds paint an entire swath of human beings (who happen to be in the minority ) as depraved and evil. From a minority perspective, it’s kind of scary.